Your day-by-day itinerary now includes Surfer's Paradise Beach. Before you visit Gold Coast, use our trip planner to discover what you can do and see there. If you are flying in from Singapore, the closest major airports are Brisbane International Airport and Gold Coast Airport. 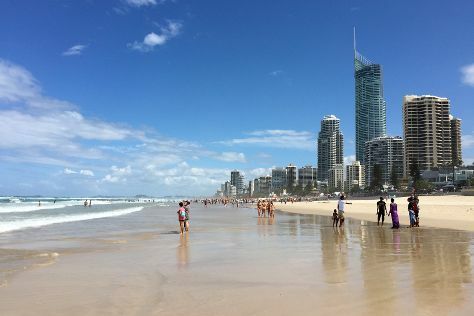 In May, daily temperatures in Gold Coast can reach 27°C, while at night they dip to 15°C. On the 5th (Sun), you'll travel back home.